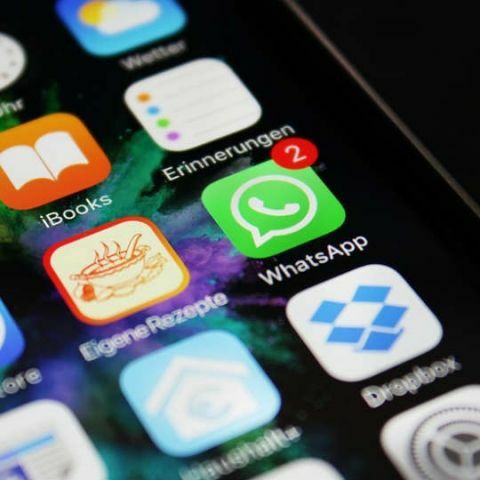 WhatsApp is the most widely used instant messaging app and it has now been updated with a new feature that allows users to chat with an unsaved contact. The new feature called ‘Click to Chat’ creates a link using which one can chat with someone that that is not saved to their contacts and they will also be able to send videos and pictures over chat. It should be noted that the user you want to chat with needs to have WhatsApp installed on their device and you need to have their phone number as well. To make use of the feature, the user needs to create a ‘Click to Chat’ link by navigating to the URL ‘https://api.whatsapp.com/send?phone=’ and appending the phone number of the person you want to message at the end. The appended contact number needs to be in international format devoid of any prefixed zeros or special characters. For example, one should enter ‘https://api.whatsapp.com/send?phone=911234567890’ instead of ‘https://api.whatsapp.com/send?phone=+91-1234567890’. The link can be then entered into a web browser on a smartphone and the loaded website will prompt to open the chat into WhatsApp. The feature works on WhatsApp for Web as well and one should note that the ‘Click to Chat’ feature can only be used for individual chats and not for group chats. One can also create a custom message while sending the first message by appending ‘&text=”your text here”’ to the aforementioned URL. An example would be ‘https://api.whatsapp.com/send?phone=911234567890&text=Hello there’. This new feature does make it easier to chat with someone who isn't a saved contact and is actually a beneficial addition for businesses that don’t want to keep adding every contact. However, the entire process could be confusing for someone who is not so tech savvy and a simple addition of an option directly in the app could make the feature much easier to use.